From October 2018, LetsGrow.com is in the process of introducing the Growing by Plant Empowerment (GPE) book worldwide. Meanwhile, already about 1000 copies of the book have been sold and distributed. 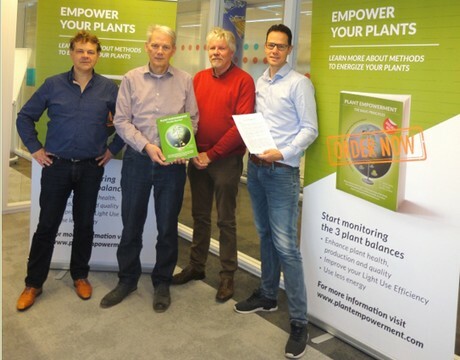 The authors and publisher (LetsGrow.com) celebrated this success just before the Christmas holidays. The year 2019 is expected to be even better for Plant Empowerment. Big Data and Artificial Intelligence are trending topics in horticulture regarding optimization of cultivation results. At this moment, however, these concepts are not matured enough yet to provide all of the answers. Fortunately, GPE offers already the basic principles to improve the cultivation results today. This concept allows growers to gain valuable insights and knowledge about how to grow and cultivate their crops based on data, also called Data Driven Growing. The concept of Data Driven Growing enables monitoring the greenhouse conditions in a new way. Typically, multiple sensors inside and outside the greenhouse, mainly connected to the climate computer, measure the weather conditions, the greenhouse climate, the conditions in the substrate, the position of the screens and vents, et cetera. The question is; ‘What do all these data mean for plant growth and development?’ ‘How can the data be transformed into valuable information?’. GPE brings the different pieces of experience and knowledge about the growing process in greenhouses together in an integrated approach. Its starting point is the natural behavior of plants related to the greenhouse environment described by six balances concerning energy, water, CO2 and assimilates. Monitoring these balances utilizing sensors, combined with crop measurements in a coherent framework based on physical and plant physiological knowledge and insights, provides hard facts required to control and improve the cultivation process. Letsgrow.com has developed various online tools, named modules, to present the collected sensor data in the form of balances. For example, the relationship between the assimilates production (source) and assimilates demand (sink) is presented by the RTR graph, which shows the daily Ratio of Temperature and Radiation in the form of a scatterplot. This way, the grower observes the greenhouse conditions from a plant’s perspective, which helps to keep the crop in balance and, for instance, prevent issues with growth and development due to disturbances of the assimilates balance of the crop. Also, modules to monitor the water and energy balances of the crop and the greenhouse, including root zone conditions, et cetera, are available. A well-balanced plant has by nature a high efficiency regarding light, water and nutrients. Also, it delivers high production and quality and has an excellent resilience against pests and diseases. 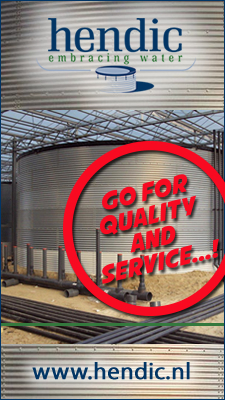 For these reasons, GPE is also appreciated as a firm basis for sustainable growing. Multiple internationally operating companies have welcomed and confirmed the GPE concept and recommend it to other growers. 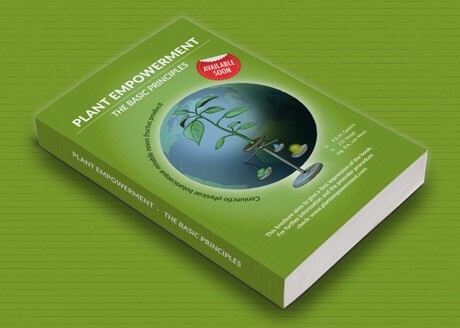 The book "Plant Empowerment, the basic principles" enables growers, crop advisors, researchers, teachers, and students to become acquainted with this new integrated approach. In the upcoming period, the GPE concept will be further promoted by organizing seminars in different countries, combined with online webinars. For more information, please check the website www.plantempowerment.com. Are you interested in GPE and would you like to receive more information? Send an e-mail to info@letsgrow.com or info@plantempowerment.com. Interested in the book? Click here to order.